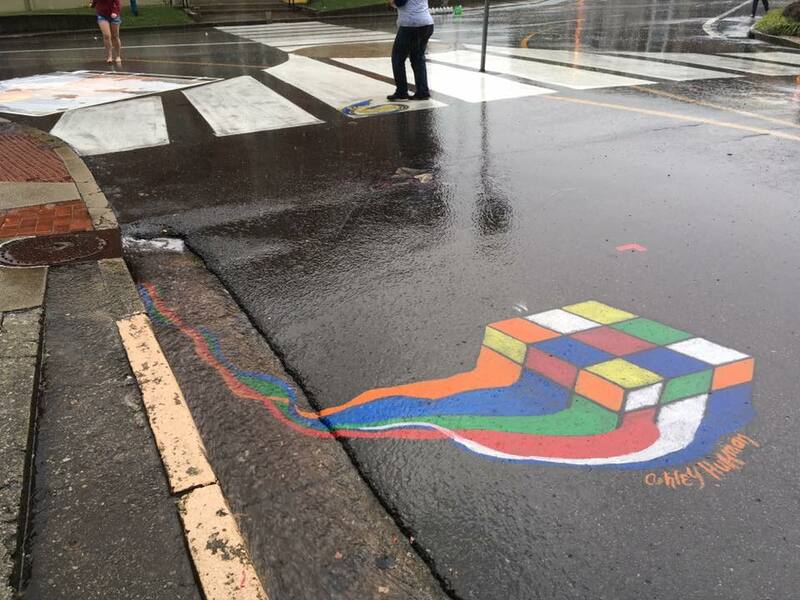 This year at Kentucky’s Via Colori chalk festival in Elizabethtown, KY was a lot of fun. 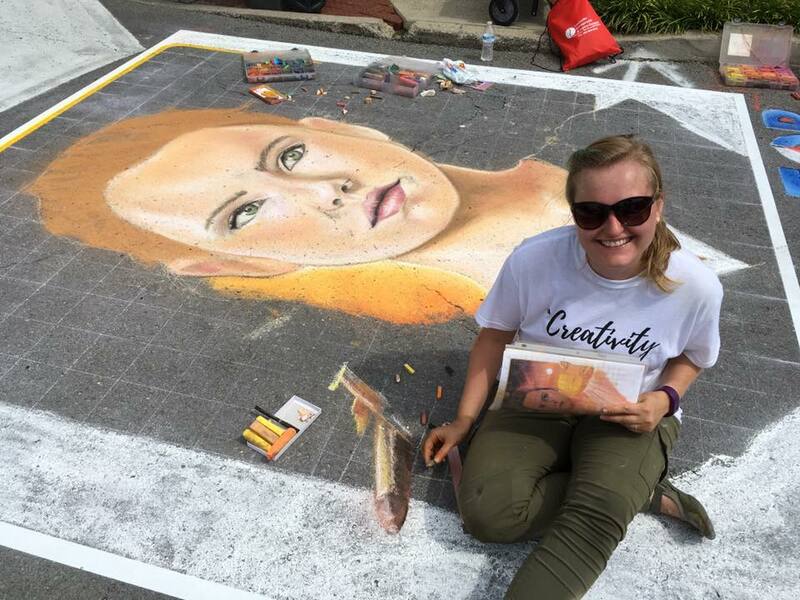 There were a lot of local chalk artists but we were also able to meet up with our chalk friends Amanda and Joe, which was a treat. 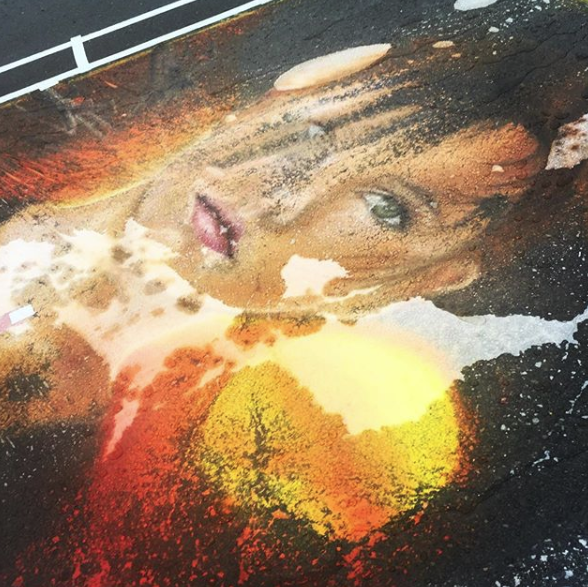 One thing that sets this chalk festival apart from other festivals is the inclusion of cosplay. Not only were there vendors selling hand crafted goods, but Toothless the dragon from the movie How to Train Your Dragon was present as well. There were a number of cosplayers from the Ohio River Valley Cosplayers group also in attendance which was really cool. 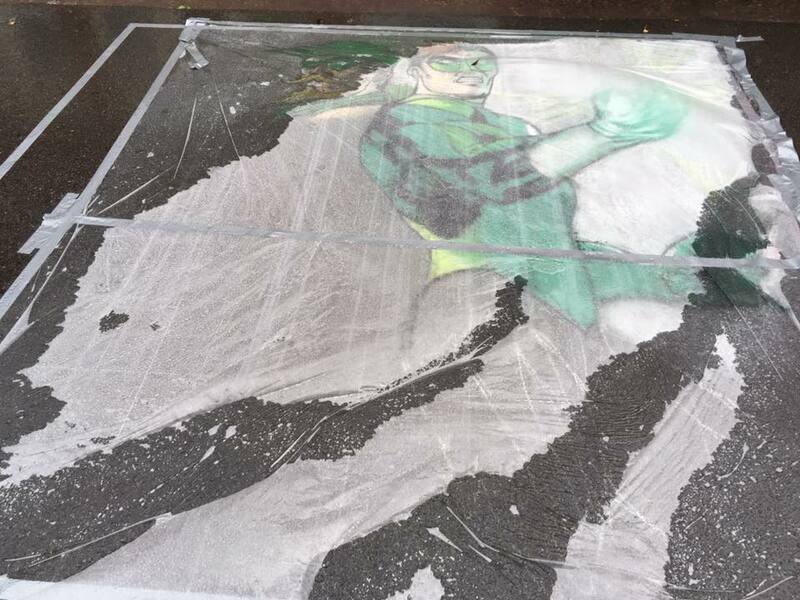 This year’s theme was super heroes, which ended up being a hit with all the artists. All the artists chose really great things to draw. 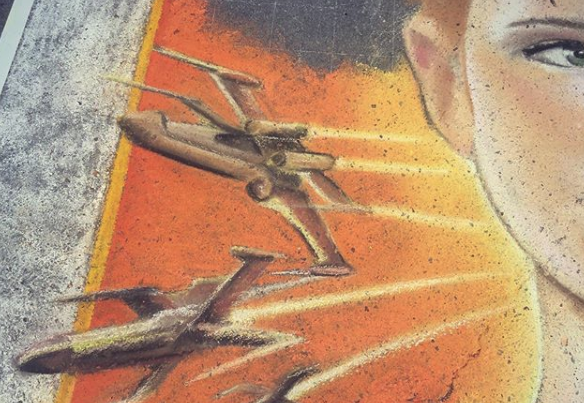 Jessi chalked Rey from the recent Star Wars movie, Star Wars: The Force Awakens. 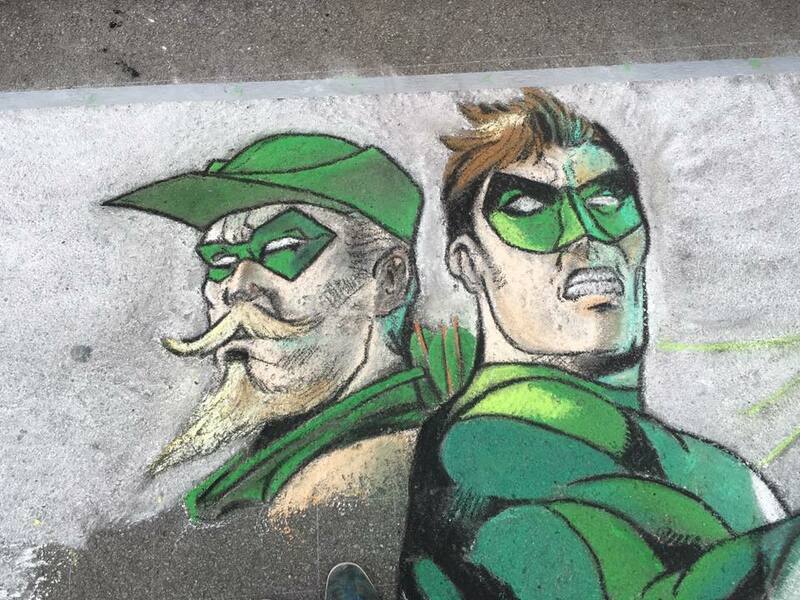 Zach chalked a comicbook cover that included Green Lantern and Green Arrow. Amanda chalked Galactus and Silver Surfer. Unfortunately it rained at around 4:30pm. Jessi, Amanda, and Zach weren’t able to finish which was a bummer. However, we still had a great time and can’t wait to come back next year.